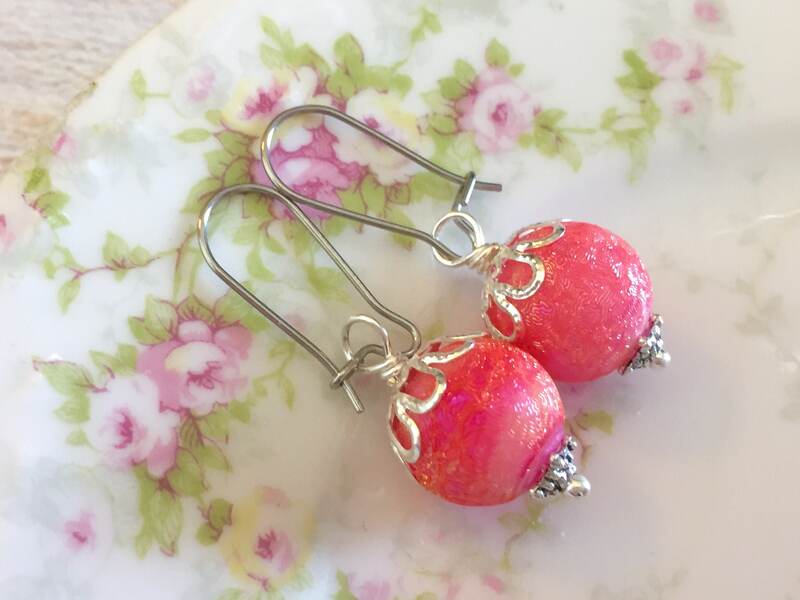 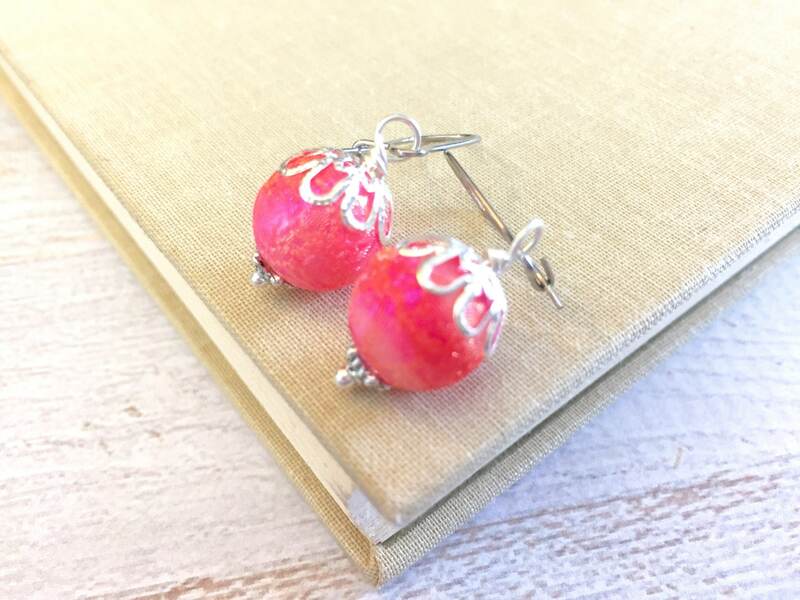 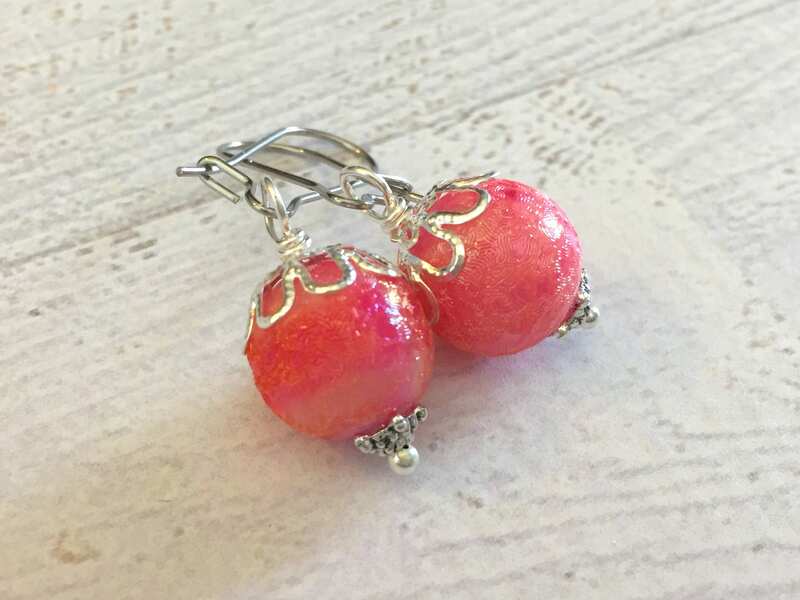 I used the prettiest textured iridescent glass beads to make these earrings - they just remind me of a candy shoppe! 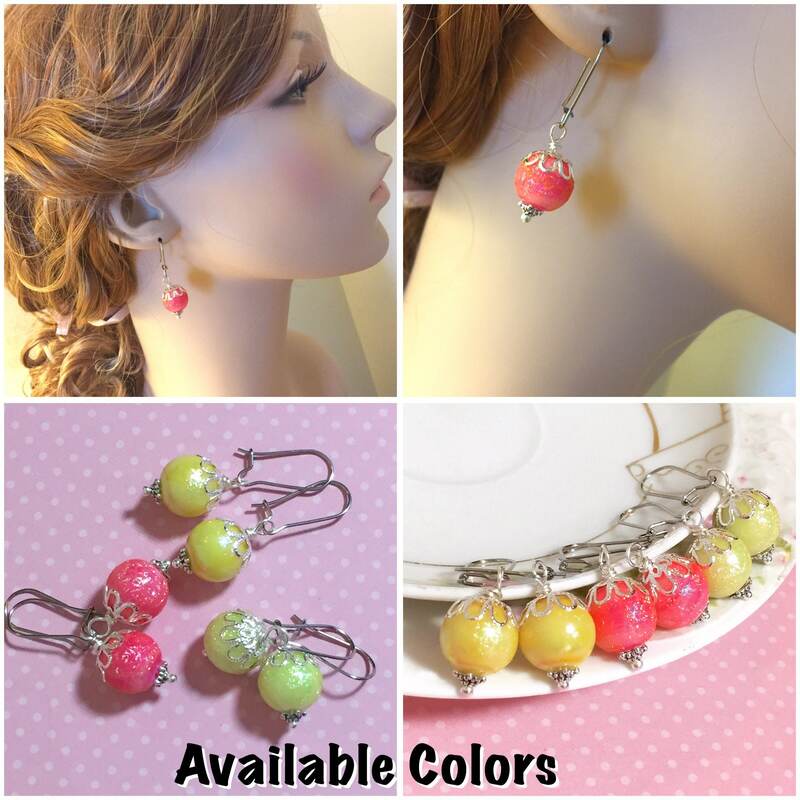 I finished them off with Tibetan silver findings, silver toned findings, and kidney style surgical steel ear wires. 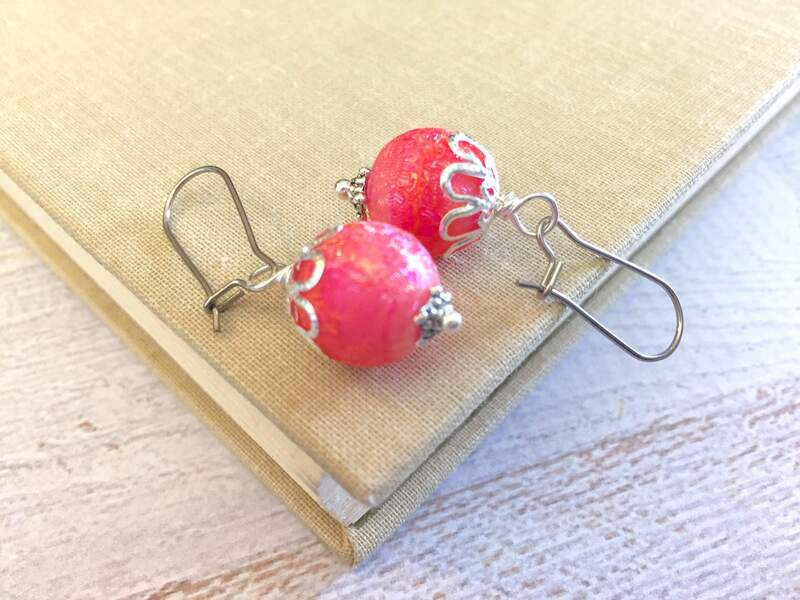 These dangle about 1.5 inches from the top of the ear wire to the bottom.